We want to spread the word about the importance of a well set up office space – and that’s exactly what our blog is designed to do. Learn about the latest office trends, and pick up some practical tips about how to make your workspace a more motivational and productive environment. 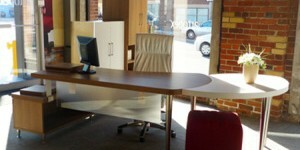 Modern Office Furniture|Commercial Design Control Inc.